Installation training video for bed-cloth installation, glue-down for bar-box table and staple-down for commercial table. Installation training video for rail-cloth installation, glue-down for bar-box table and staple-down for commercial table rails. 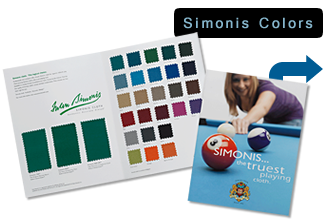 Show pride in your cloth and protect it at the same time with Simonis Table Spots.